Healthy and Responsible Relationships: HIV, Other STIs, and Pregnancy Prevention - Michigan Model for Health teaching module for grades 9-12. 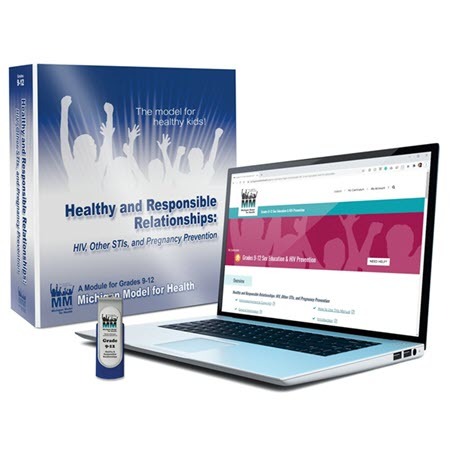 The 22 lessons in this module address HIV, other STIs, and pregnancy prevention at the high school level. HRR is an abstinence-based curriculum; however, it provides three options for implementation, including an abstinence-only option. Includes Teacher Resource Flash Drive. Support materials purchased separately.